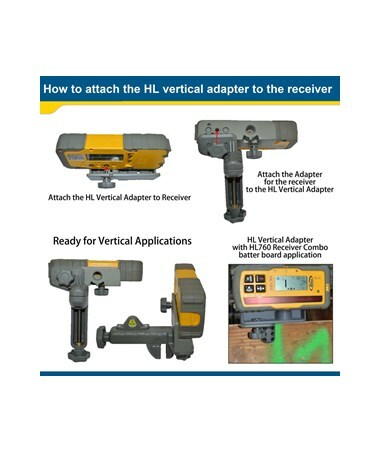 With a working radius of up to 1,500 feet, the Spectra Precision HL760 features a digital readout of elevation and fingerprint functionality providing fast grade checking and accurate laser readings. 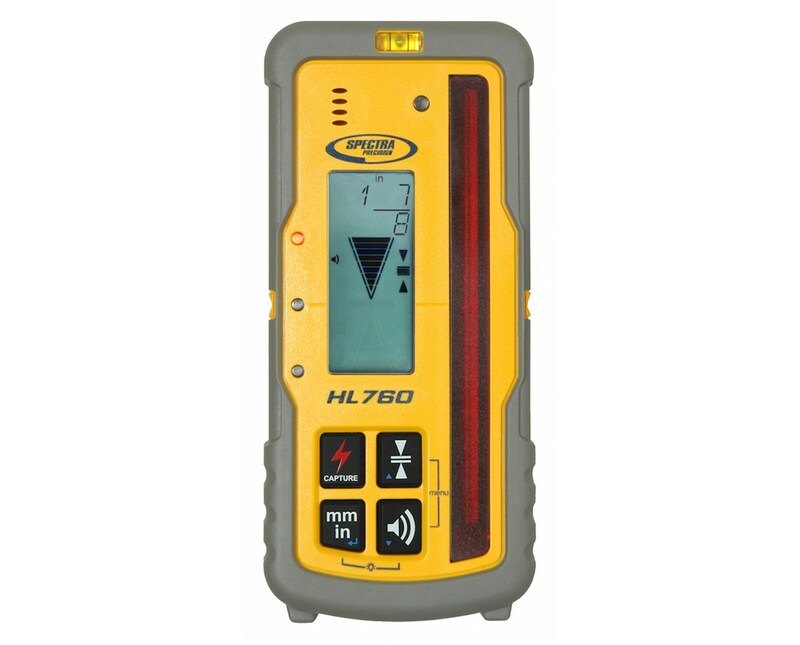 This advanced laser detector includes all the functions of the HL750 with the addition of grade matching and PlaneLok capabilities that are suitable while working with the LL400HV, HV302, GL412N, and GL422N lasers. 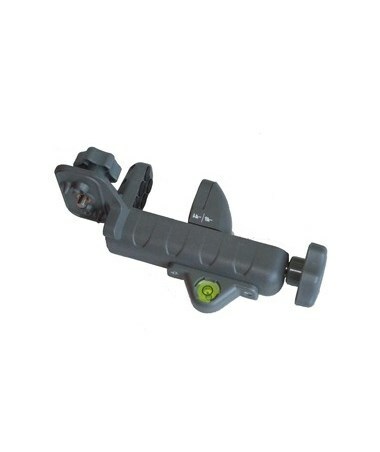 Includes a rod clamp, the HL760 shows the exact distance from on-grade on its large front and rear LCDs. It also has six accuracy settings and selectable units of measure are displayed in millimeter, centimeter, feet, an inch or fractional inches. 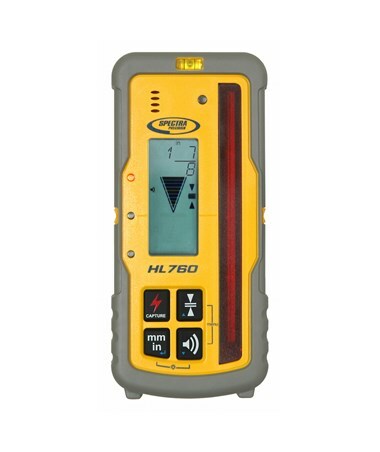 In addition, the HL760 can communicate with another HL760 for a longer range, wireless remote display, and monitoring. This Spectra laser detector has a 5-inch reception height for quick acquisition of the laser beam and an anti-strobe sensor that prevents false readings from strobe lights. A firmware update is also available which enhances the LED light rejection feature of the Spectra receiver. Its sensitivity is now more resistant from the influence of LED light frequencies for more efficient and undisturbed reception. With an IP67 rating, the HL760 is dustproof, water-resistant and can withstand a drop of up to 10 feet high. Operates up to 60 hours using the included alkaline batteries, this Spectra laser receiver comes with a 3-year manufacturer's warranty. Working radius: 3 - 1,500 ft.